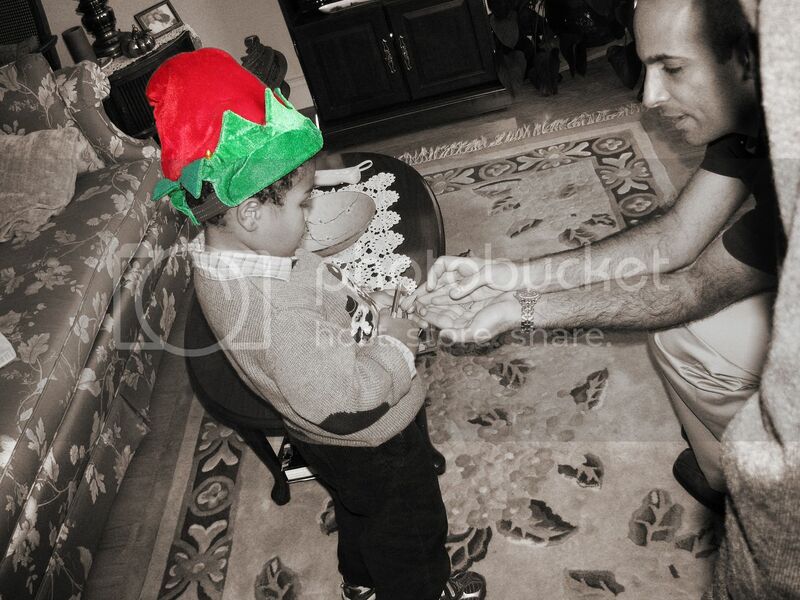 At Thanksgiving I bought young Jarome an elf's hat which he wore all day. The process of Selective Sepia is a little detailed but well worth it. Try it! You guys know what to do now, right? The two Ja/Jeromes together,so sweet. Awwww. Big and Little. Sweet. Neat shot! It's so cute when they get into a "role" like this. That's a great pic of your little elf! I have a selective-color sepia pic up at Purrchance To Dream, and then a sepia-toned picture of one of the vintage jewelry pieces up for a give away at It's A Blog Eat Blog World, and even Little Isis has gotten into the sepia act over at today's House Panthers! I must try that. Neat shot. This is one of my favorite ways to redo a photo. Jarome is cute in his hat! Looking forward to seeing what everyone else has done. aww thats lovely :) love how you keep the hat's original color! That hat really jumps out and grabs you. Kids are fun with hats. One of my granddaughters insisted on wearing her Phillies hat (backwards) constantly. Nice to be able to capture these special moments. I'll have to check out selective sepia. Mine always comes out dark or something. This looks nice. Cute picture. My kids love cowboy hats. Thanks for the tutorial. I also want to say thank you for the tutorial, it was inspirational! I hope I'll be able to do the selective sepia next time. Got A ss for you...but I didn't try the selective picture yet! That pic is just adorable!! great shot. I must try that selective sepia thing. I love it! So many things to learn here. Thanks! What a cute looking elf he is! What a sweet picture of uncle and nephew! He's adorable in his elf hat. Mine is posted at my place, A View of My Life. Have a great day! Adorable, wonderful shot! Love the tones. 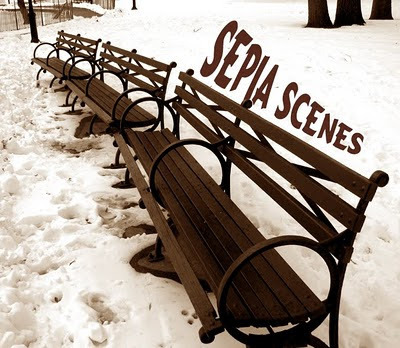 Joining Sepia Scenes for the first time and wanted to say how much I have enjoyed perusing your blog! So many great posts!